Recommended by more educators than any other student bell kit. The SPK-285 bell drum kit features a 2.5 octave set of student bells with neoprene nodal supports. An exceptionally well-crafted student bell kit offers convenience and quality for young players. The SPK-285 bell kit provides beginner students with an instrument that is easy to play and has a quality sound that is consistent with more professional bell kits. 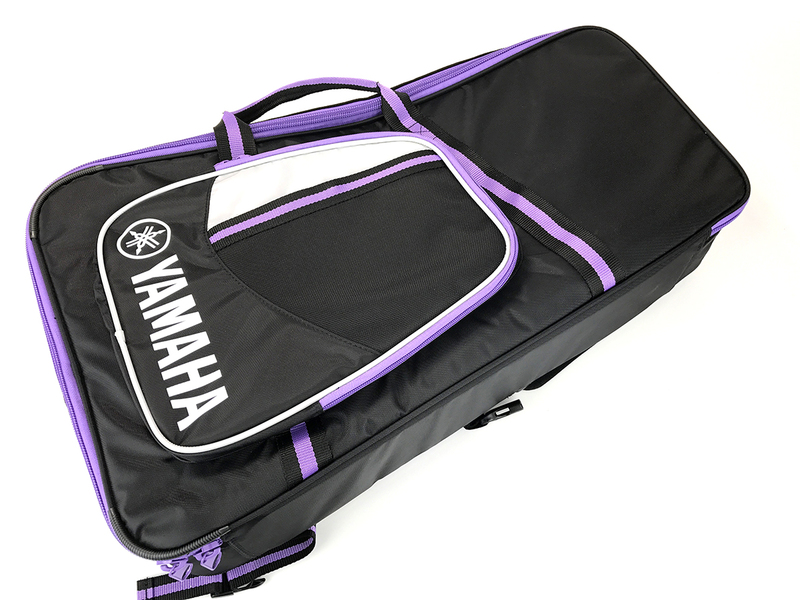 Rest assured that the new SPK-285 upholds Yamaha’s reputation for designing instruments that provide outstanding performance, durability, and quality! The SPK-285’s unique design reduces carrying weight for students which allows for easier transportation with its aluminum design. Starting from F instead of G unlike most bell kits reduces confusion for beginner students. 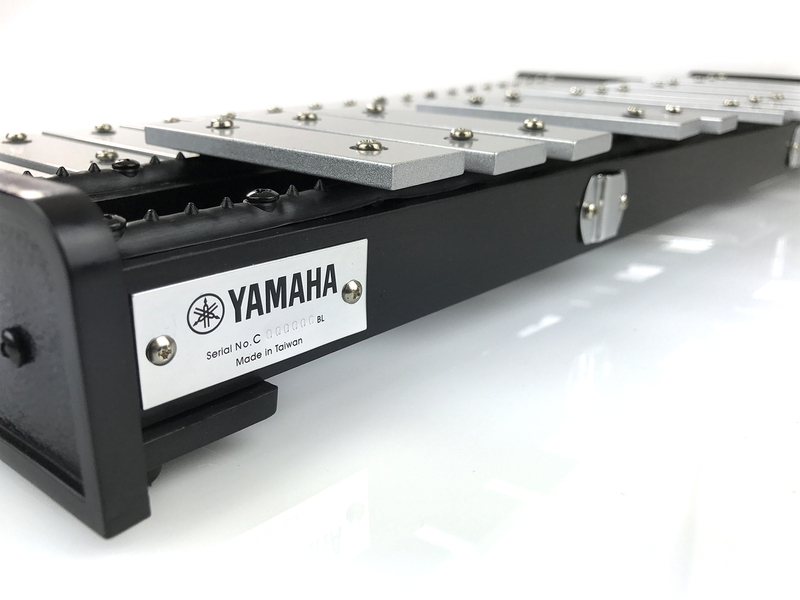 The X-style stand can be used for both the bells and the pad, making it a versatile pick for percussion students. The stand offers convenience and stability while playing as well as makes it well-suited to players of all heights and ages. 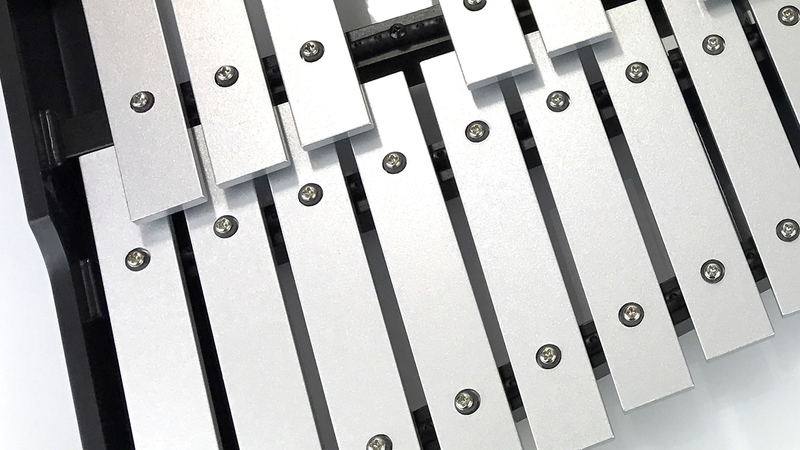 An included music rack acts as a music stand, allowing the percussionist to position music for easy viewing. 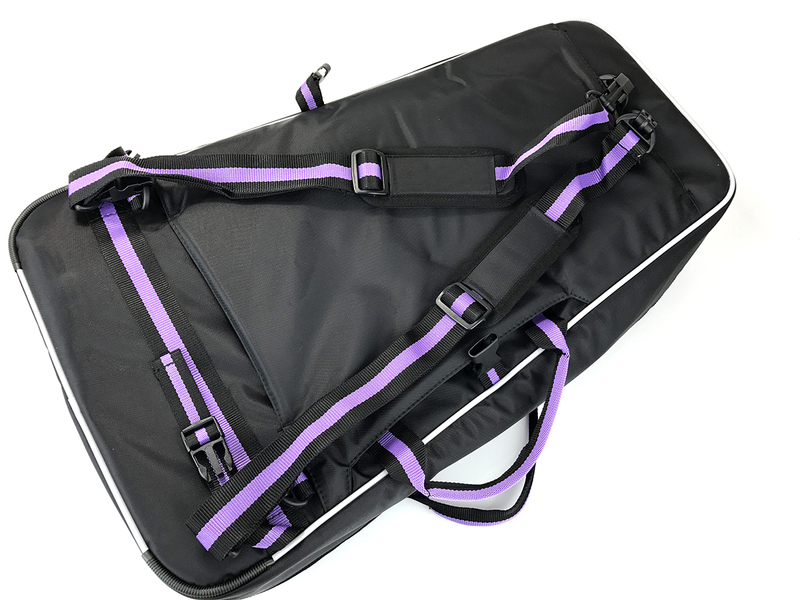 The modular bag is accented with reflective safety stripes and offers plenty of storage space for all of the bell kit’s included items and music. As with all new Yamaha Band Instruments, the SPK-285 includes Yamaha’s unbeatable 5-Year Factory Warranty. We are very happy with this purchase. No issues with shipping and pricing was fair. We received the product in excellent condition. It's a good set, and my child's teacher is happy with the Yamaha kit.